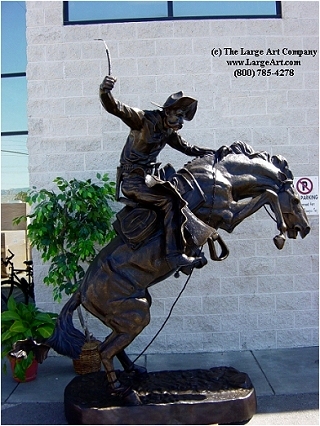 We are proud to present this life-size version of Frederic Remingtons most famous sculpture, the Bronco Buster. 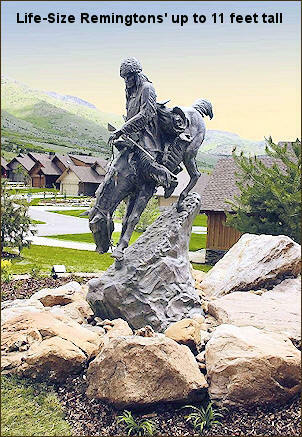 This statue measures 8 feet 5 inches tall x 7 feet 2" long x 3 feet 5" wide and weighs over 800 pounds. The size of the base is 8''H x 59''L x 27''W. This is a beautiful statue for a public area. We have placed these at casinos, hotels, restaurants, parks, community developments and many other public venues. It is cast of pure American-made bronze and will last for hundreds of years inside or outdoors. 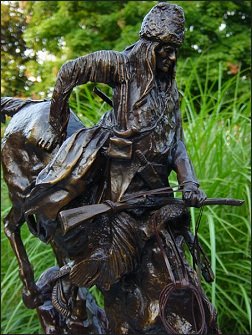 Each Remington bronze statue is hand-cast in high-quality American bronze using the "lost-wax" method of bronze casting. They are made one at a time by skilled artists and include a solid marble base and nameplate. The rich chocolate brown patina is applied by hand. We have all of our statues cast ourselves so we know exactly what goes into them and how they are made. All of our sculptures are of the highest quality on the market and are true to the originals in every detail. 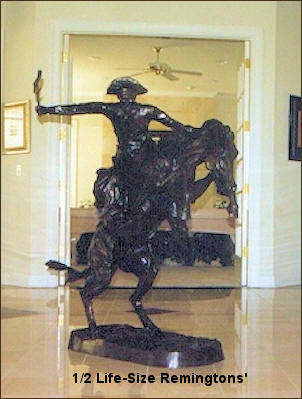 These are quality pieces of bronze sculpture that you will be proud to own and display. They will remain family heirlooms for generations to come. We work directly with the bronze foundry, so there are no wholesaler or dealer mark-ups. Similar quality sculptures are often double our price. This desktop statue comes in various sizes as outlined above. We also offer even larger stand-alone editions. For more information about the artist, how they are made, cleaning, etc. ; please see our Additional Resources section below.